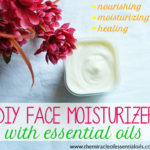 If you’re looking for the best essential oils for face moisturizer, whether you want to add them to your usual moisturizer or make your own moisturizer with them, you’ve come to the right place! 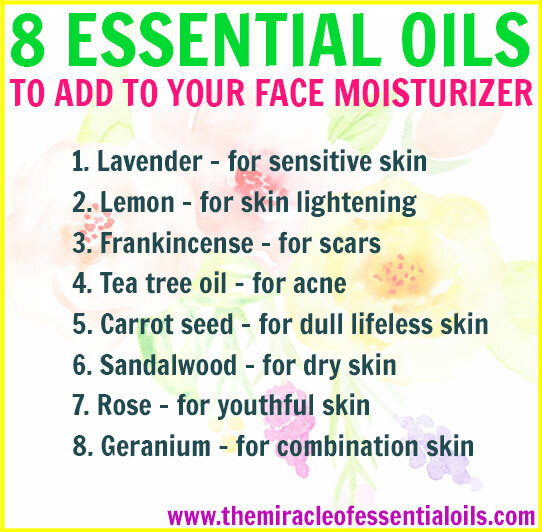 Here are the top 8 essential oils to add to your face moisturizer for beautiful youthful and supple skin! 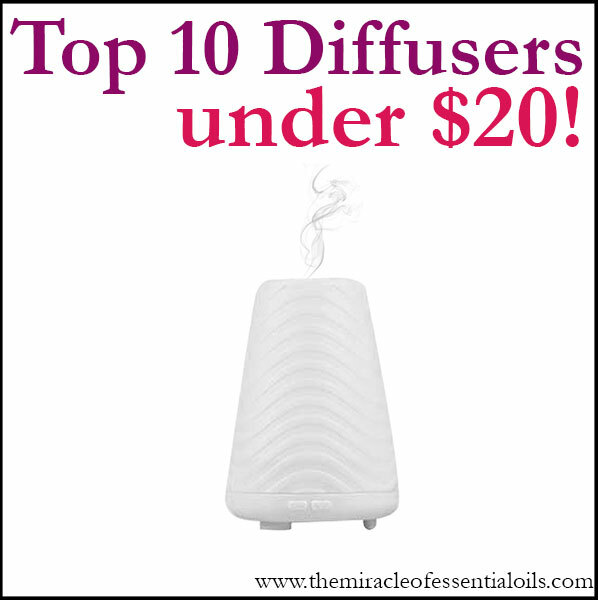 Use a 2% essential oil dilution rate. This is the safe and recommended dilution rate for adults and skin care. 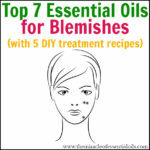 It means add 2 drops of essential oil for every one tsp of face moisturizer or carrier oil. Or, just simply add 20 drops of essential oil(s) to 8 oz of face moisturizer. This multi-purpose oil has skin soothing properties and is good for sensitive skin. It also has anti-inflammatory properties which make it a good addition for DIY eczema and rosacea face moisturizers. 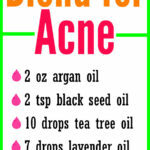 Got acne? 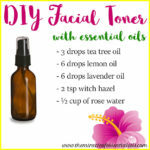 Then tea tree essential oil is an ingredient you must add when making your DIY face moisturizer. You can also add it straight to your usual face moisturizer. Rose essential oil is romantic and smells heavenly. It is very good for sensitive skin types because it is gentle. It’s also good for fighting wrinkles and promoting youthful skin. 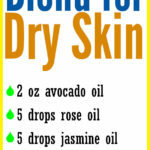 Do you have dry parched skin? Sandalwood essential oil should be an oil you own! It has moisturizing qualities to it which keep skin fresh, dewy and moisturized. It’s also a prized oil for mature skin and smoothening wrinkles. Geranium is all about balance. It’s perfect for combination skin because it regulates the skin’s natural oils. If you have oily skin or combination skin, then add geranium to your list of essential oils for face moisturizer. Geranium also beautifies skin and encourages collagen production. 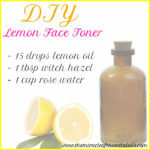 Skin that’s dull and looks ashy needs lemon essential oil! It has awesome skin lightening properties that instantly brighten up lifeless skin. If you make a face moisturizer with lemon essential oil, however, be sure to use that moisturizer only at night time. This is because lemon oil is photosensitive and shouldn’t be worn while heading out in the sun. Also great for skin brightening and lightening, carrot seed oil works wonders for dull and spotty skin. 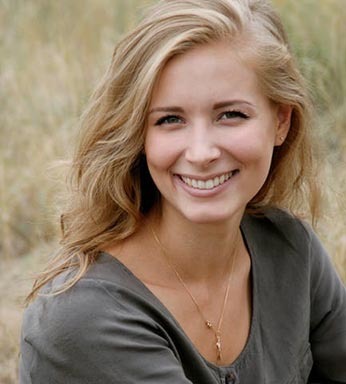 If you have age spots or hyperpigmentation, add carrot seed oil to your face moisturizer. Frankincense is superb for scars. Whether it’s acne scars, pock marks or burns on the face, frankincense is there to help. What’s more is that it has powerful anti-aging properties! That’s it! Those are the 8 best essential oils you can add to your DIY face moisturizer.